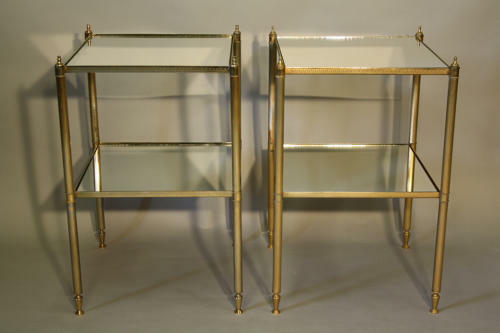 A very pretty pair of soft gold metal framed two tier, mirrored glass end or side tables. French c1970. Lovely delicate detail and would work well as sofa or chair end tables or even bedside tables.